These have been stripped down and rebuilt after cleaning and polishing each part. They are then fully tested to both dial out and recieve perfectly. 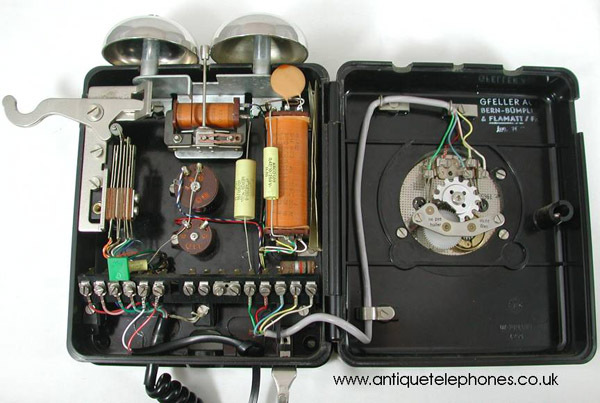 This is a Swiss made telephone and dates from the late 1940s onwards. 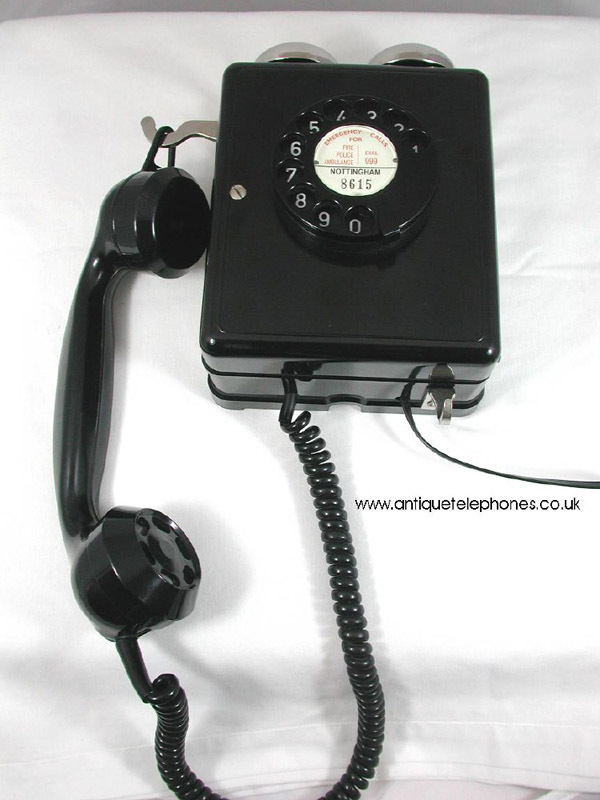 As you can see it is a very well made telephone and is as new and fully working to both dial out and receive calls. The dial is like a swiss made watch and a joy to restore. 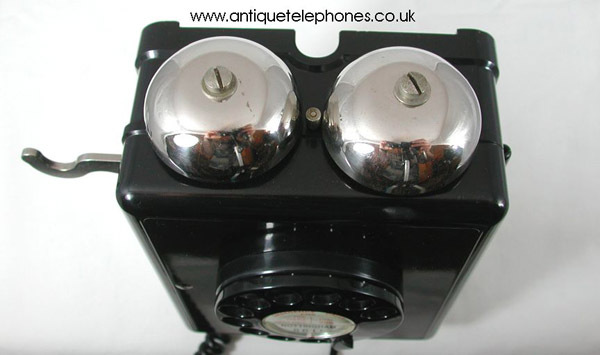 This has a great feature of being able to hook the telephone receiver to the bottom when waiting for someone to come to the telephone. 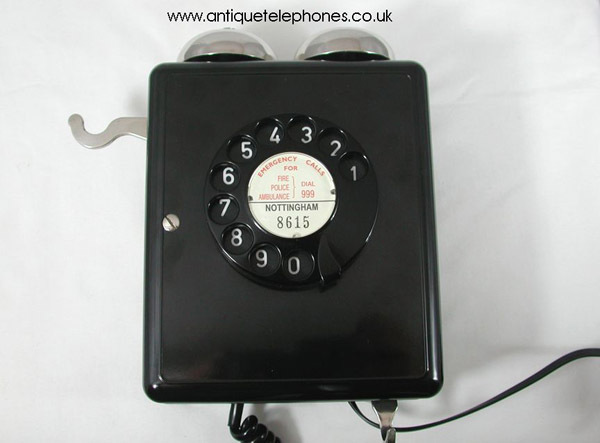 These are not a reproduction telephone and have been taken out of service and shipped to the UK. These are selling very well in two of the antique shops I supply. I will include a dial label with your information in this price. The telephones all vary slightly but I can assure you they will all be in wonderful condition.